Ever just wonder WHY? Do you question everything? Then this ring is for you! Next time someone exasperates you with a stupid decision just stick up your finger and ask WHY? with a flourish. 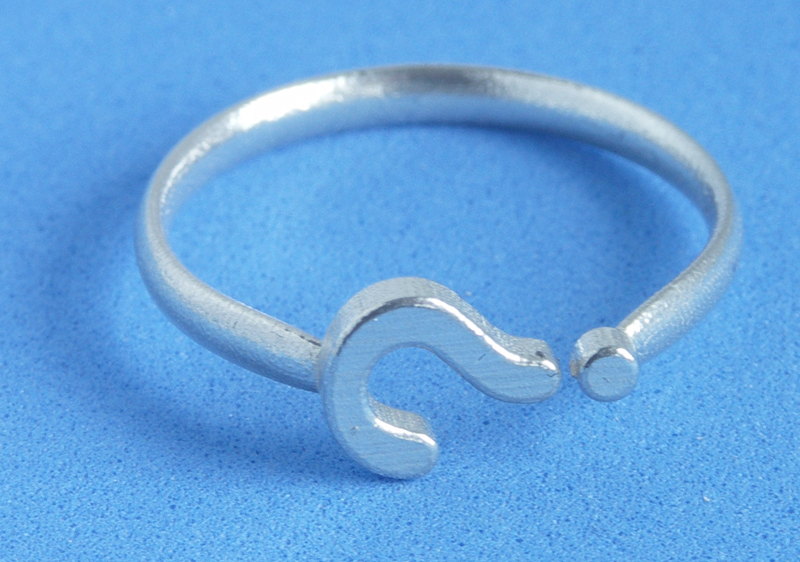 I designed this sterling silver (.925 silver) question mark ring myself so that the ring becomes slightly adjustable in size because it doesn’t form a solid circle. It’s a unique design and sure to be a conversation piece. 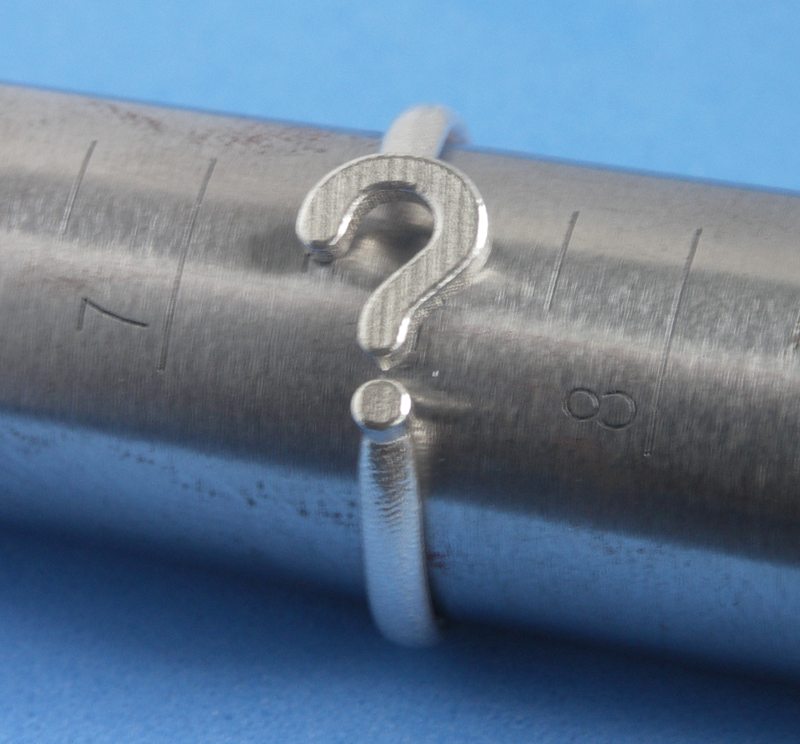 This ring is NOT silver plated and is NOT hollow. 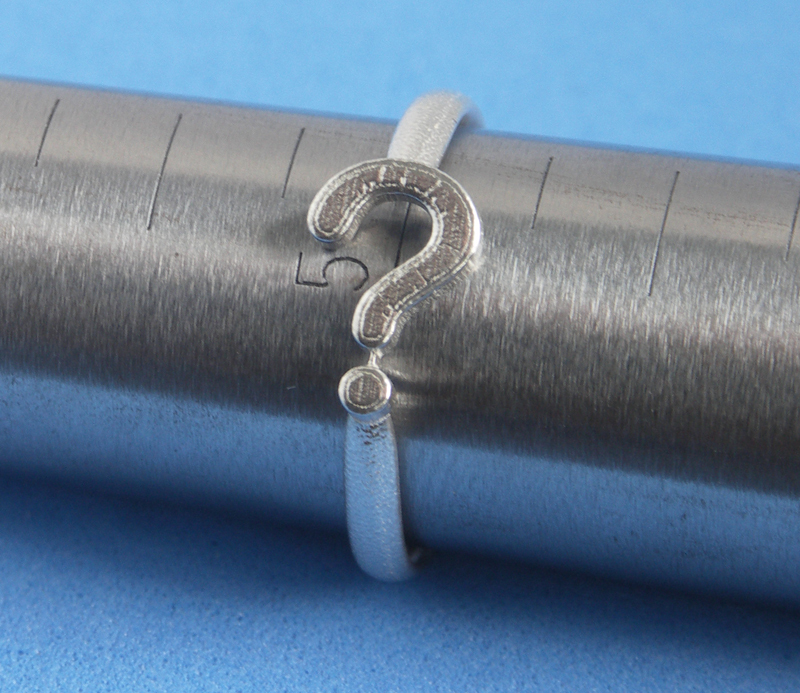 It is a SOLID sterling silver piece. 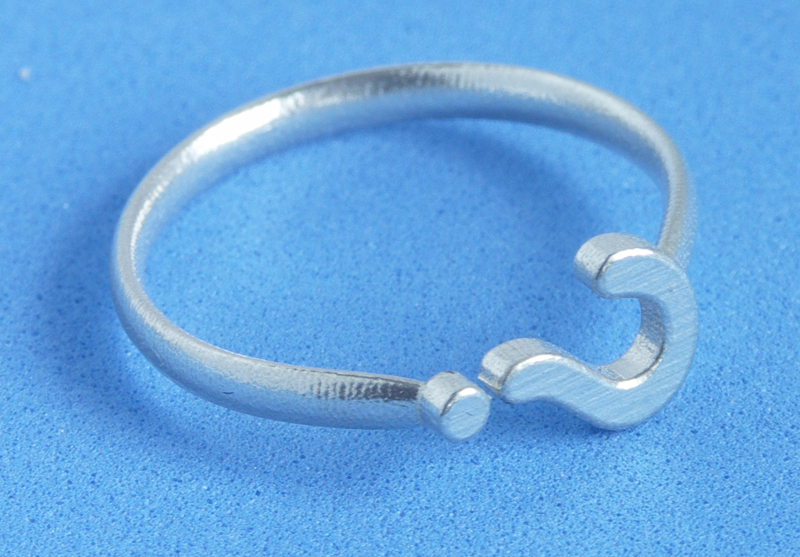 This ring is available in two sizes READY TO SHIP (no waiting!) from my ETSY STORE. ** US Size 7.4 and Size 5 ** (see ring mandrel photo’s). Hi, do you sell wholesale? Does or could this come in a bracelet? Hi Jinene, with 3D Printing there really is no such thing as “wholesale” since it is a make-on-demand technology with no large inventory required. What I can do, however, is reduce the price on each piece assuming larger orders will follow. It is not presently available in bracelet size but there is no reason why I couldn’t make that other than cost. If you have any more questions please write (I will be emailing you as well).